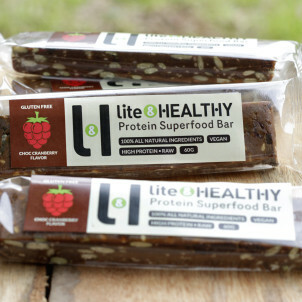 Lite and Healthy delicious Raw Protein Bars are a great snack for when you're on the go. 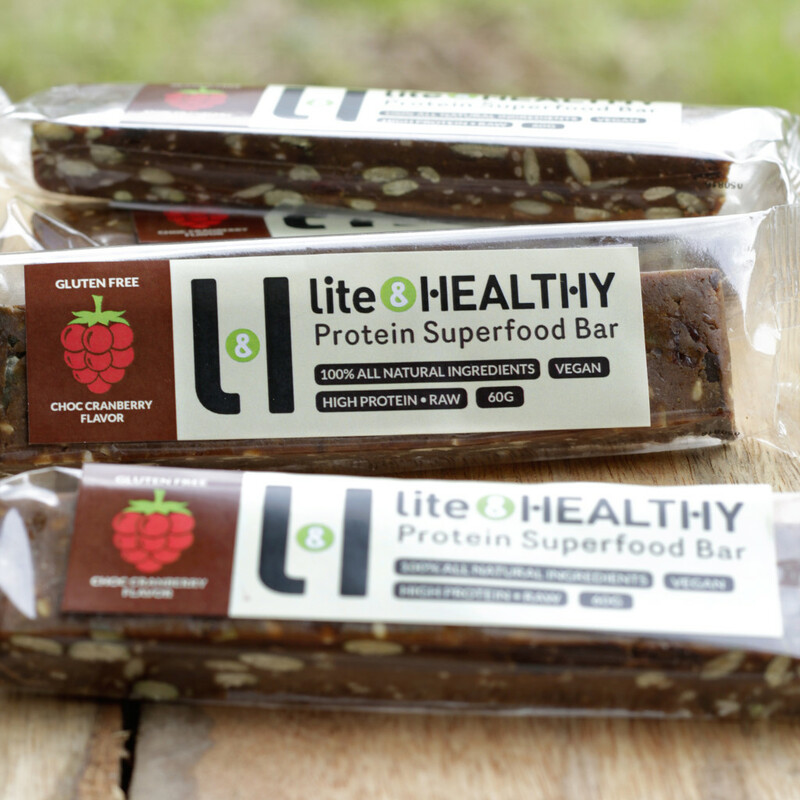 Purchase as single bars or a box of 10 (with pop up display packaging). Brown rice protein, coconut syrup, pepitas, dark choclate 70% cocoa, dates, cranberries, fructooligosaccharides (FOS), lecithin, extra virgin coconut oil, flaxmeal, sesame seeds, tahini, ginger, cinnamon.